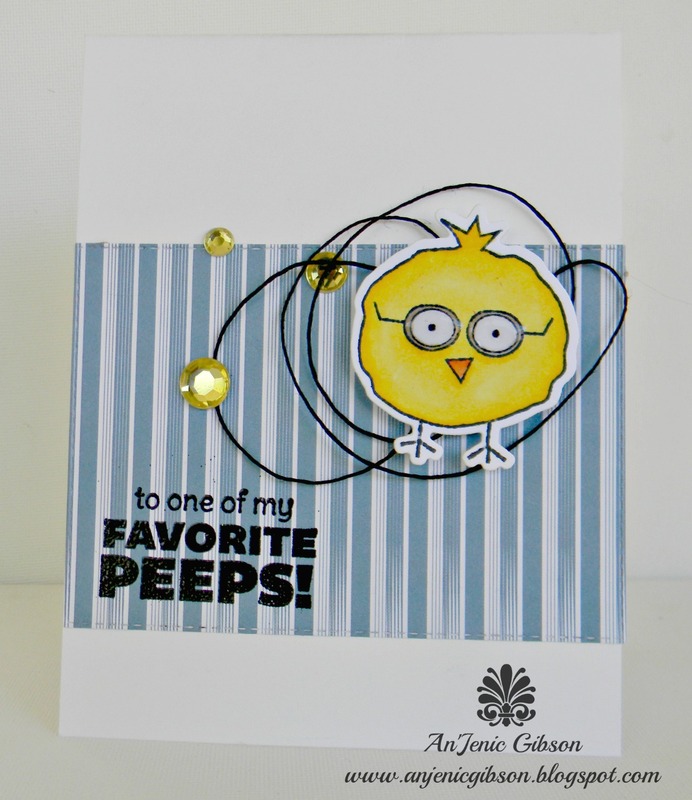 Paper Crafter Anonymous: An'Jenic: To One Of My Favorite Peeps!! An'Jenic: To One Of My Favorite Peeps!! Its me An'Jenic from An'Jenic Creative Space here to share another oh so cute FSJ product. Wow where have this month gone. I have been so busy with work, family, friends and sadly a had to go to a funeral. Some near and dear to me lost their father. And if life hasn't showed me this already you should last to enjoy life and to cherish your loved ones. Today I wanted to stop in and share a card using some Fun Stampers Journey products. Its a simple card that can be give to anyone.